Do you love a great big ooey gooey melting brie as an appetizer? One of my favorite things!! I came up with this recipe thinking of something that would be easy to serve for Father’s Day! 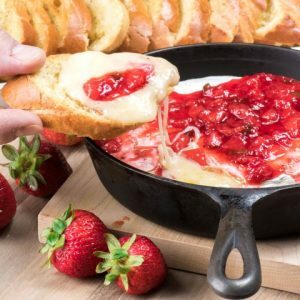 I mulled around a few ideas, thinking of a strawberry salsa to finally landing on this recipe for strawberry jalapeno compote to go with the melty delicious brie cheese. 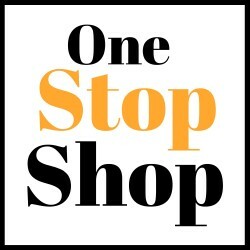 Something that the whole family could indulge in or if friends are over too. 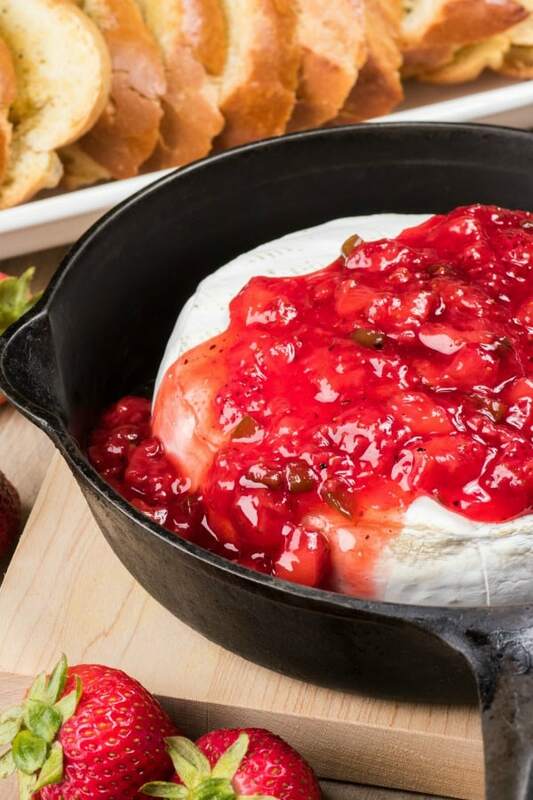 This Strawberry Jalapeno Brie is fantastic. With some toasted baguettes this appetizer is a master piece in all its glory! I love playing with a sweet heat!! Makes me come back for more!! Usually we back off a bit and clean out a jalapeno of its seeds and white membrane where all the heat is located. I am then usually disappointed in the heat and the jalapeno tastes like a green pepper. So for this strawberry jalapeno compote I made, I used half of one large jalapeno and cleaned out just some of the seeds and membranes. I then gave that a fine chop and added it in with the strawberries, lemon and sugar. Rich and melty with amazing sweet heat from the strawberry compote this is a winner of a summer appetizer. Soon strawberries will be in abundance, big, juicy and ripe and perfect for so many dishes. Your family and friends will be in awe when you present this jaw dropper to them!! I mean really, warm cheese, crispy baguettes and a homemade amazing compote, does it really get any better than this? This appetizer doesn’t have to be delegated to summer either as it would be perfect at the holidays too. Bright red and festive this would be at Christmas! 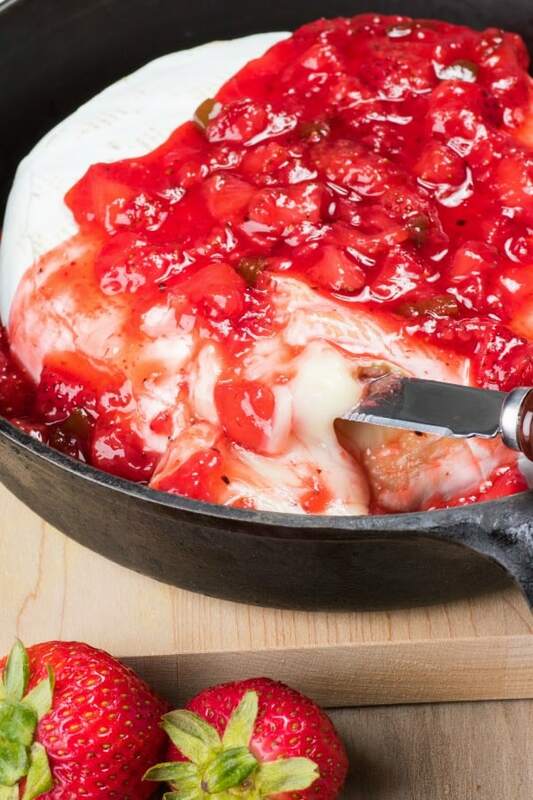 This Strawberry Jalapeno Brie has the perfect sweet heat but the beauty of this recipe is that you can adjust it to your liking. Preheat oven to 350F. Brush both side of the sliced baguette with olive oil and salt and pepper one side. Place on two large sided cookie sheets. Bake for 15-18 min. or until crisp and slightly browned. Remove from trays to cool. Place the strawberries, lemon juice, 3 Tbsp. sugar and jalapeno in a small saucepan. Add in a pinch of salt. Bring up to a simmer. Use a potato masher to mash up some of the strawberries. Cook for 10-15 min. After about 5 min. taste and adjust the heat by adding in more sugar. It all depends on how hot your jalapeno was and how spicy you would like it in the end. It does mellow as it is cooled too. Remove from heat and let cool. Refrigerate until ready to serve. When ready to serve place the brie in a medium cast iron pan or oven proof serving dish. Bake at 350F. for about 10 min. or until soft and melty all the way through, careful that is doesn't burst and get too runny. Serve with the strawberry jalapeno compote either cold, at room temp. or warm and the baguettes. When I go, please bury me in this brie. Seriously, this looks AMAZING! Saving right now! That sounds seriously amazing. I need to make this! Like today! Wow, I would never have thought to combine strawberries and jalapenos. I’m guessing the sweet helps taper off some of the heat, I will have to try it! 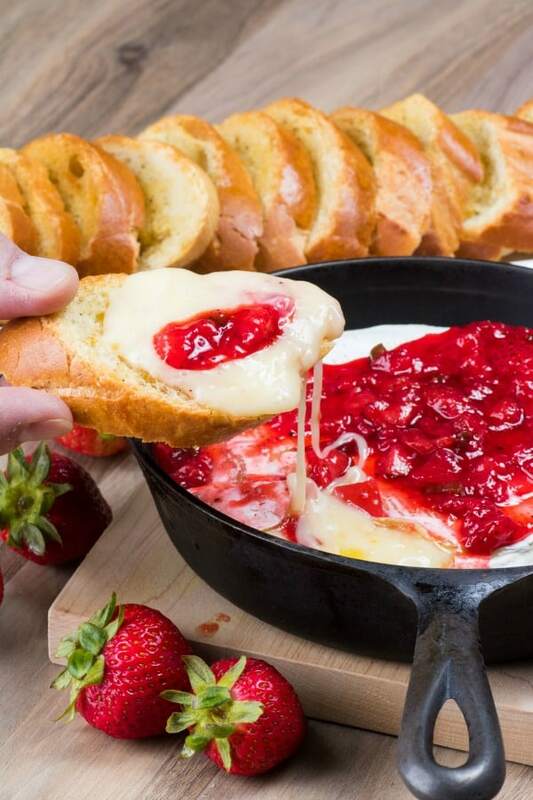 Yes, you just end up with a light heat to the strawberries, goes perfectly with the cheese. I wouldn’t have thought to mix those flavors, but it looks absolutely delicious! I’ll have to try it for our next ladies’ night! Oh my gosh, this looks so good. A sweet heat with the creamy brie. I can’t wait to try it. Strawberries and brie together is a combination I never would have put together. I’m not sure about the jalapenos though. Something about jalapenos and strawberries just sounds a little weird for my taste buds. If you like a sweet heat then this is it. You don’t actually taste the jalapenos. Oh my this looks so delicious I wish I could have some right now. I will have to get the ingredients I need to make some this weekend. That sounds super tasty! I love that dded kick of the jalapeno with the sweet. That sounds awesome! The combination of the heat, the sweet, and the creamy is fantastic. I’d love a big old plate of that. I have never tried brie before, but would love to. It looks so creamy and must be a delicious sweet and savory treat. Oh wow, I’ve never thought of a combination like this, but it looks absolutely amazing. I have to try it. This looks super yummy! Brie is my absolute favorite cheese! OH wow look at that brie! I have heard strawberry and jalapeno is delicious together! This was amazing ! Any ideas as to how to keep the sauce looking like a rich red color ? Thank you Terri! The lemon should help that and don’t over cook the strawberries also.